The Priory Learning Trust is a Multi-Academy Trust of primary and secondary schools – and in time (we hope) special schools. This will add real inclusivity to our Trust. 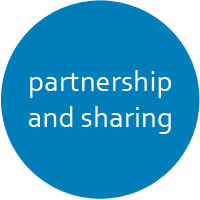 The PLT grew from a passion to bring the power of partnership and sharing to bear and provide a first-class education to a wide range of children, of all abilities and social class groupings, in WSM and especially in North Worle. We believe that this approach will create happy, confident, and high-achieving students. This truly collaborative approach will also develop great staff relationships and improve staff wellbeing. It promotes healthy competition. Support the aspirations of young people and their ambitions for their future success. Contribute to producing aspirational, well-rounded, confident and active citizens. Offer a broad range of qualifications. 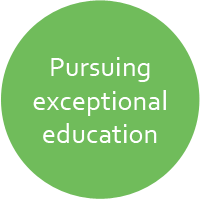 Be inspirational learning centres offering exceptional education. Provide a strong duty of care to nurture and support students' wellbeing and self-esteem. Maintain the unique nature of all of the schools within the Trust. Give Academy Councils the freedoms to focus on the challenge and support for the improvements in teaching, learning and the curriculum. The ethos of The Priory Learning Trust is visionary, aspirational, and one of pursuing excellence across every single area of our work. Through working together and sharing resources, our academies will provide all young people in Weston-super-Mare with inspirational academic and vocational programmes which prepare them for successful careers and healthy, confident and active livelihoods. The following values are important to The Priory Learning Trust. Every person is here for the best interest of the children. 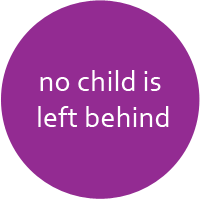 No child is ever left behind. The unique identity of each school is protected, celebrated and valued for the contribution it makes to ensuring children have the best education and experiences. Allowing every young person across the Trust to benefit from specialist facilities and resources. Facilitating the mobilisation of expertise between/across organisations. Sharing good practice and experience across academies. Providing high-quality motivated staff with opportunities to expand their experience and expertise across the Trust.